Share the post "Video Premiere: ALEXISONFIRE’s ‘Familiar Drugs’"
ALEXISONFIRE has premiered the official video for “Familiar Drugs”. 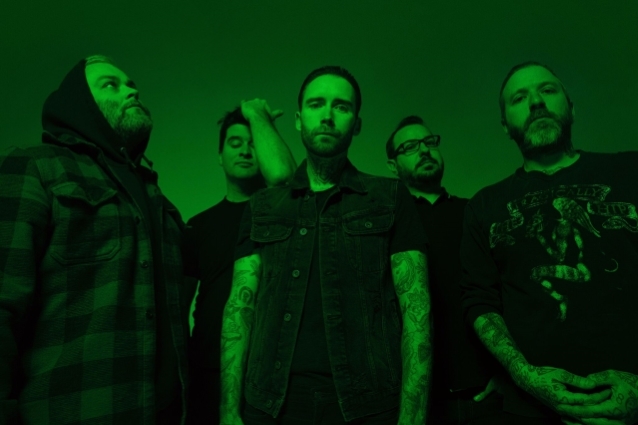 The bandmembers once again teamed up with Michael Maxxis, who directed their personal favorite ALEXISONFIRE video for “The Northern” and CITY AND COLOUR‘s “Fragile Bird”, “Thirst” and “Lover Come Back”. The featured support acts are CHASTITY and CHILD’S POSE in London (UK), ANGEL DU$T and DRUG CHURCH in New York City, DRUG CHURCH and THE DIRTY NIL in Los Angeles. In Toronto, GLASSJAW and THE DIRTY NIL will perform the first night at Budweiser Stage, with QUICKSAND and MONEEN filling in as support for the second night.